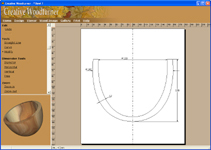 Creative Woodturner allows you to choose the wood that you are going to use on your woodturning from over 140 images. 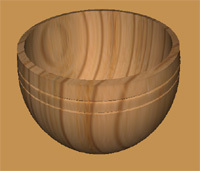 You simply select the wood image and a photo-realistic 3D view of your woodturning is displayed using true-grain technology to simulate the grain pattern. 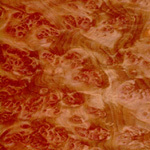 The appearance of your woodturning is defined by wood images. 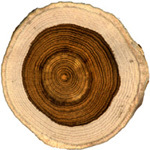 Supplied with Creative Woodturner are over 140 images, ranging from common hardwoods such as oak and ash to exotic and figured woods. 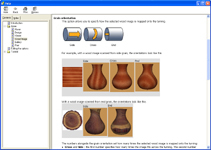 You can even use your own images. 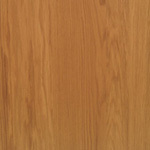 Revolutionary True-grain technology gives unprecedented realism by mapping the wood grain through the woodturning. 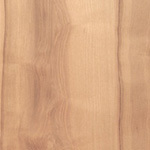 Wood images are divided into categories such as blockwork, figured and end-grain. 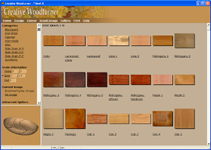 This makes it easy to find the correct wood for your woodturning. 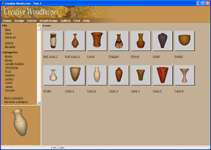 The contents of each wood image category are shown as thumbnail images. 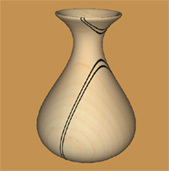 Simply click on thumbnail image to apply the image to your woodturning. 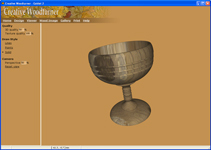 You can choose how the wood image is mapped onto the woodturning, simulating cross, end, or side grain turning. 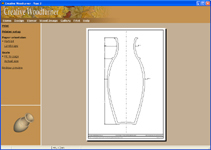 You can use this feature either to match the wood you have for the woodturning, or to help you decide the best way to orient your woodturning.